While at NasFic, Mur Lafferty interviewed me for her podcast, I Should Be Writing. Mur makes the whole thing feel like a casual conversation between friends which reduces the level of stress induced by trying to sound reasonably intelligent. Part of what I like about I Should Be Writing is that Mur talks about her personal writing journey and the lessons she is learning during it. She touches on stuff that pretty much every author goes through. While my part of the interview doesn’t happen until about the 27 minute mark, it’s worth listening to the whole podcast. 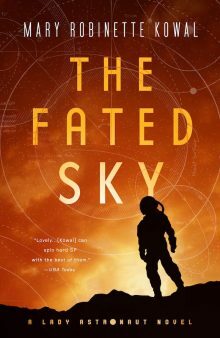 Which you can do at… ISBW #153 – Mary Robinette Kowal Interview : I Should Be Writing.